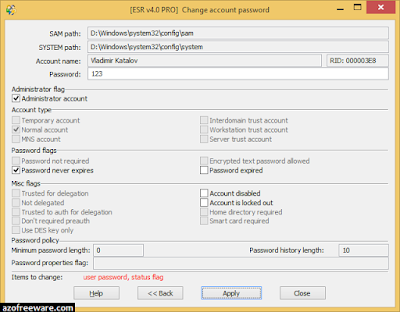 Elcomsoft System Recovery - Reset or Recover Windows Account Passwords. Up to 40% of support calls are related to forgotten passwords and locked logins. Elcomsoft System Recovery helps instantly reset Windows system passwords, enabling system administrators regain access to locked Windows accounts. Supporting local Windows accounts, network domains and Microsoft Account, Elcomsoft System Recovery is a must-have tool for network administrators, IT professionals and security specialists. 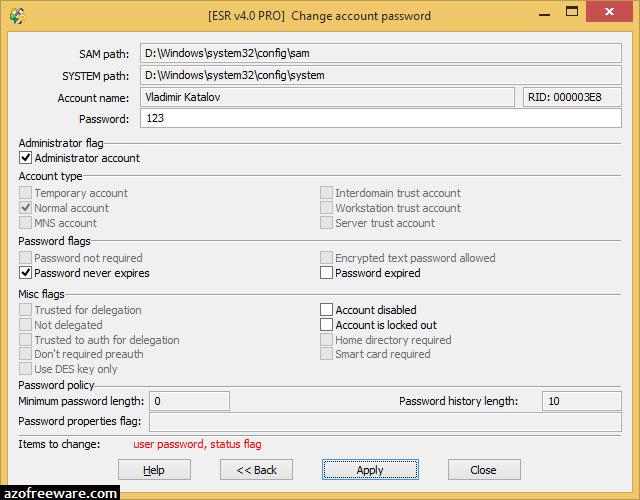 Elcomsoft System Recovery can reset account passwords instantly, while supporting pre-configured attacks to recover the original passwords. Elcomsoft System Recovery unlocks locked and disabled user and administrative accounts in Windows 7, 8, 8.1, Windows 10, as well as many legacy versions of Windows including Windows Vista, Windows XP, Windows 2000, Windows NT as well as the corresponding Server versions. Both 32-bit and 64-bit systems are supported.